Oil prices are likely to remain below $50/b for at least a year or so; unless all stake holders, including OPEC and major non-OPEC producers cooperate on a production freeze/cut. This is a difficult task and even harder to implement. The reason being that all oil producers/exporters are in a catch-22 situation. 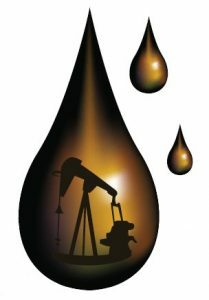 Almost all oil producing/exporting countries are facing a dilemma of a budget deficit due to deteriorating oil revenues. Each producer is trying to produce/export more by offering discounts to grab the market and trying to lift oil revenues to narrow-down their budget deficit. For example the headline: Saudi oil output sets record despite global glut signals that is, there is a silent war going on among oil producers/exporters to produce and sell more in an effort to sustain/revive their sluggish economies. Their individual actions continue to push up the already overflowing inventories and further exerts downward pressure on oil prices. Related: Oil Majors Leaving South-East Asia – A Red Flag For The Area? The higher oil prices and environmental challenges in the past have motivated the auto-industry to revolutionize and move away from over a century old Internal Combustion Engine (ICE) dominance with Electric Vehicles (EVs) and Fuel Cells Vehicle (FCV). What does it mean to oil companies? Do oil companies need a new long-term strategy to remain successfully in the business? Or live with a status quo strategy? If they ignore such a threat and do nothing it may undermine their long-term objectives. One should not ignore the fact that more than 72 percent of oil demand is mainly associated with transport sector and out of this over 80 percent has been linked with road transport. Speedy penetration of EVs will certainly displace sizeable oil demand in decades to come and could be detrimental for the oil industry.Related: Can Mexico Reverse Its Steep Output Decline?